Our Owner Neil Hutchinson C.A.E F.I.M.I, started his working life as an apprentice for a local Mercedes Benz dealer in Chelmsford way back in 1978 after qualifying as technician Neil went to work for Essex Police for a while in their workshop at police headquarters, Neil was then approached by the new Mercedes Benz dealer in Chelmsford in1984 to join their team of technicians, he was quickly promoted to workshop controller and was nominated to become a member of the highly prestigious Mercedes Benz Technicians Guild. In 1988 he went into management for a local BMW dealer, when the recession hit in 1990 Neil saw the opportunity to offer a refreshing, cost effective alternative to the franchise dealer network for all your car servicing requirements. Since these early days Neil and his team have developed and adapted to the ever changing demands of our industry. In 2006 we started our association with BOSCH Car Service where Neil is a member of the national forum to help maintain and improve standards of service and training. In 2010 we invested considerable resources into expanding our operation with New Diagnostic Equipment and Staff Training to allow us to offer our high levels of service to cater for all Porsche models. This has been a resounding success, and our dedicated Porsche website can be found at www.mercurysportsandclassic.co.uk. 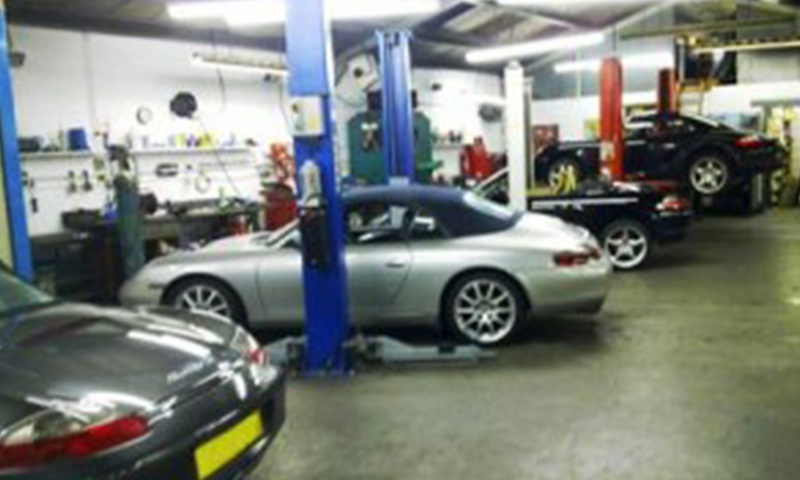 We are able to service and repair all Porsche models including Boxster, Cayman, 911 and Cayenne. In 2011 responding again to customer demand we have invested in full Dealer Level Diagnostic Equipment and staff training to allow us to cater for all service and repair requirements for Range Rover, Land Rover. You can protect your warranty by servicing your car according to the manufacturer’s service schedule. Whether you have purchased a new or used car, it’s probably one of the largest financial outgoings from your income. Why should you pay even more money for servicing and maintenance? Since we first opened our doors in spring 1990 it has been our aim to be a cost effective alternative to the main dealers, yet providing a professional and friendly service. All our mechanics are fully trained and kept up to date with the latest technical information to repair and maintain your vehicle the way it was intended. We at Mercury Car Centre are committed to help reduce the costs of servicing on all vehicles, even those still under warranty from the manufacturer, so whether your car is less than or older than 3 years, we can save up to 60% off main dealer servicing or repairs. Mercury Cars have recognised accreditation. You can rest easy with your service from Mercury Cars as we have official and recognised accredditation. As a member of the BOSCH car service network we have the latest diagnostic equipment which is regularly updated to cope with the demands of the latest vehicle technology. 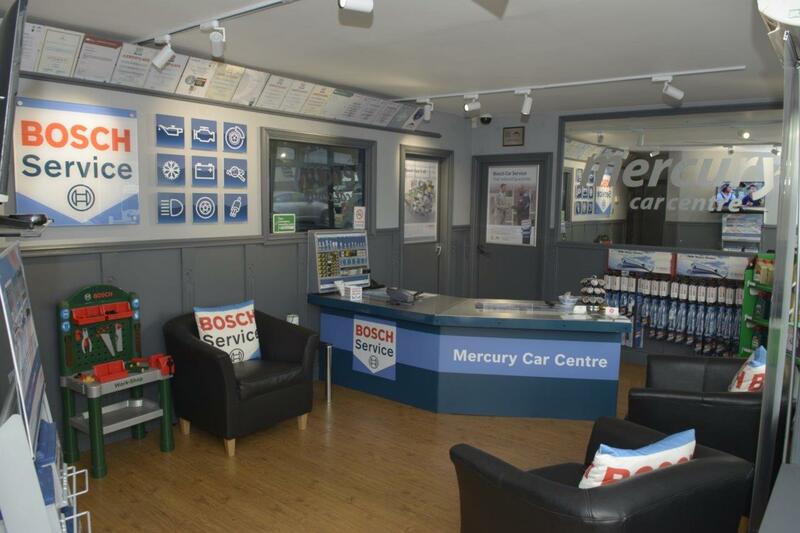 Selecting Mercury Car Centre gives you the reassurance to have your car maintained professionally, by a local reliable independent garage at a reduced cost. Please give us a call, our professional staff have extensive experience and knowledge of car servicing and repair issues within the motor industry and will be able to guide and assist you with your needs.